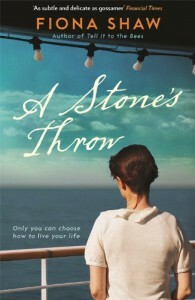 Well written, with some lovely prose, A STONE'S THROW follows Meg, a young British girl from the time her father left with her brother to when her son stands throwing stones with his teenage daughter at the funeral of his father. 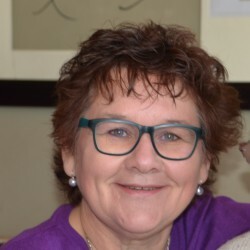 While the writing was tight, with good characterisation of Meg and her husband as a reserved English couple, the themes were too complex for such a short book. I never really got to know the characters, and therefore couldn't relate that well to them. Perhaps that was an intentional technique to emphasize the extreme self-containment needed to sustain a lifetime of British stiff-upper-lip, but it only served to make the characters difficult for me to know. Meg's husband George, too, was one dimensional as a character - throughout the book we only see him through the eyes of Meg and her son Will, and their view of him was rather harsh. I would have liked to get behind his reserve to find out his thoughts on the compromises he had to make throughout his marriage to Meg. Interesting enough for me to want to finish it, the first part (up to the end of Meg's boat journey during WW2), was wonderful, but ultimately I was left somewhat frustrated and rather sad at such a passionless existence, although Meg's encouragement of Will to live his life on his terms offered some hope.